Birds are everywhere! And that makes seeing them something you can do pretty much anywhere you are at the time. Every family vacation, business trip or outing can be an opportunity to see and learn more about birds. Globally there are currently over 11,000 species of birds recognized and tracked by the IUCN (the folks who track all species populations), and you can check out specific data for any of these birds at the DataZone compiled and kept by Birdlife International. But figuring out how to find birds in other places and when to go can be daunting. Fortunately there is help! 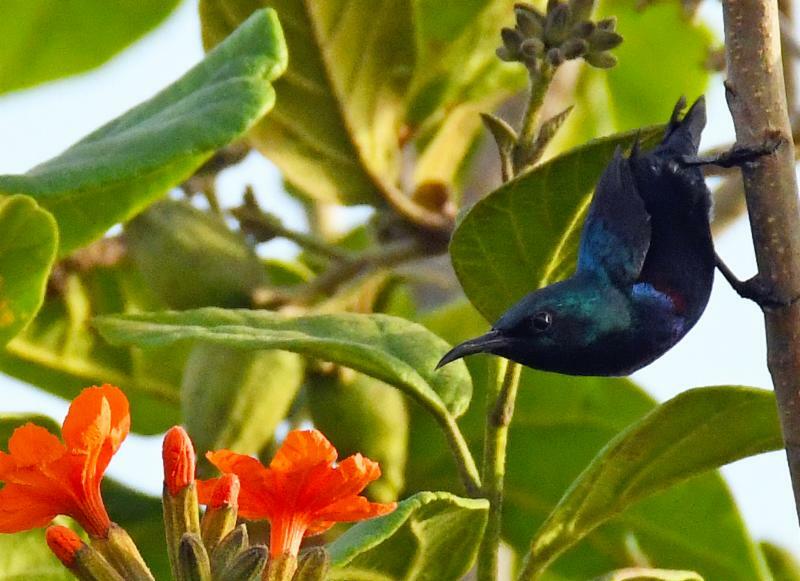 For ideas on planning a family vacation that also includes birdwatching, extending that overseas business trip for a chance to find some completely new species (like this Purple Sunbird I found while at a conference in Abu Dhabi), or finding the right full-blown birdwatching trip to a new and birdy location, look no farther. Our friends at BirdNote have ideas and links to get you started, with an article crammed with great suggestions which could help you take off on your way to your next birding adventure!